We recently run a poll on the site to see who would be voted as Arsenal’s player of the season. Prior to this when we sat down between us to talk about this subject we could not find a consensus. We realised that this was due to two facts. The first is that the season overall has not really been that great to shout home about. Granted we did reach the semi finals of the Champions League and the FA Cup and in the era I grew up in this would have been considered as very good. Remember Arsenal went on a run of 17 years before winning the then called “Fairs Cup” in 1970 (beating Anderlecht in a two legged final). This goes to show that fans will judge a particular season against their expectations and what they have grown used to in the years before. And since Arsene Wenger came to Arsenal and started winning trophies the expectations bar has risen to a much higher level than those we were used to in the 1970’s. The second was that a lot of the usual candidates for player of the season either did not perform up to the expected high standard or spent a lot of time on the injury table. A prime example of the former is Adebayor but there were others that were below par like Toure, Clichy and Sagna. Examples of the latter were Fabregas who was injured for about half the season (22 appearances out of 38 league games) and similarly Robin van Persie (24 starts). There were others that were mostly fit and got to start quite a lot of games but did not exactly set the world alight. Players like Denilson, Song, Walcott, Bendtner, Diaby, Eboue and Nasri. Granted they all got very valuable playing time and will be the better for it next season. But player of the season for this season? Not really. The only ever present player that played consistently at high levels was to our mind Almunia who had a terrific season. But he only received 8% of the votes. Yet 3799 fans who voted on our Player of the Season poll chose to go for hope. They chose those two players who have shown that next season they will be spearheading Arsenal’s attack on the Premier League title: Andrey Arshavin and Robin van Persie. Arshavin received 1056 votes just ahead of van Persie with only 11 more votes to win the “Arsenal Analysis” player of the season award. He only made 12 appearances, half of van Persie’s, but scored 6 goals! A spectacular start to his Arsenal career and one that every Arsenal fan wishes that is carried onto next season. 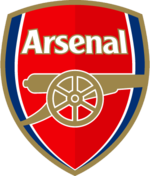 Who was Arsenal’s player of the season? You need to go light on the weed. Walcott was out most of the season. So he isn't one of those who were "mostly fit". And Adebayor was injured 35% of the season. Were you stoned the entire season? "fans will judge a particular season against their expectations and what they have grown used to in the years before." The mere fact that some fans voted for Song says a lot about the season. There were some good individual performances, but overall the team didn't click, especially in decisive games. Most of it is due to long-term injuries. Maybe all we need is a more experienced and professional physio staff? "The only ever present player that played consistently at high levels was to our mind Almunia who had a terrific season." - Hence my vote for Almunia. Love AA and RvP but they didn't suit up enough. Almunia was our top player, consistent all season. He made two mistakes all season (Bentley and Ronaldo goal). Van Persie would have been player of the season if the season was from December to January. 9 months or so of rubbish don't compensate for 2 months of magic. The publisher of the Journal of Raman christian louboutin can be contacted at: John Wiley & Sons Ltd., the Atrium, Southern Gate, Chichester PO19 8SQ, W Sussex, England. Air Force Station said it had a requirement for boot ankles and cloth for Christian Louboutin Boots, coats and trousers. According to the description: "Tenders are invited for Supply of boot Christian Louboutin Shoes sale 2) Supply of cloth turban/cloth Christian Louboutin Zebra Tall Boot coat L/B samar H/S/cloth Christian Louboutin Pumps coat B/ trouser." Bidding type is a domestic competitive Christian Louboutin Sandals.